This is a ‘Not-from-a-Jar’ Curry! Ready made pastes are great and handy to have in your pantry if you want a quick curry, but mixing and roasting your own spices to make your own paste, tastes far far better. It really is so simple if you have all the spices at hand. 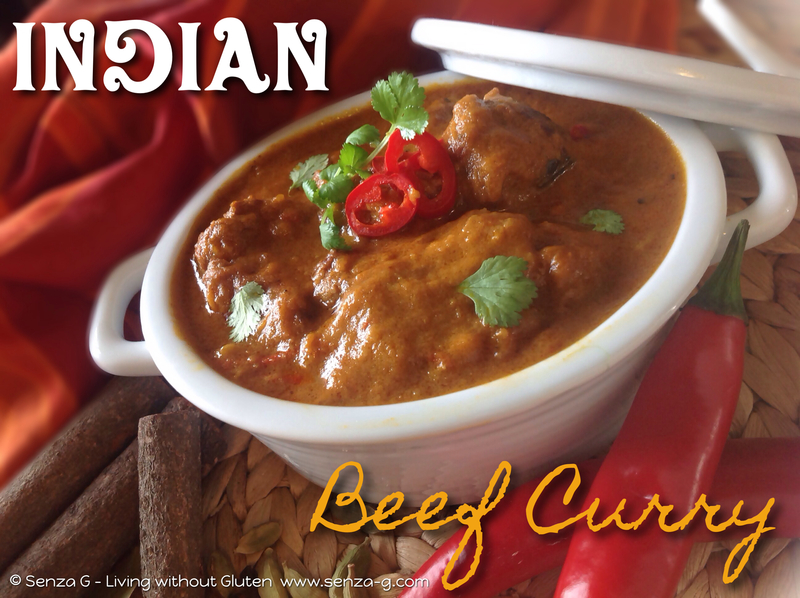 You will immediately notice the difference in taste from your own prepared curry mix to a commercially prepared one. All the spices below are easily available from supermarkets. Sauté the onions in a little olive oil over medium heat for 15-20 min until caramalised and brown. Remove and set aside. Add more oil to the pan, add the beef and brown. Put the onion back to the pan along with the garlic, ginger and curry spices. Sauté for 1 minute or until spices become fragrant. Now add the tomato paste, lemon juice, vinegar, curry leaves, salt, pepper, diced tomatoes, potatoes and coconut milk. Bring to the boil. Lower the heat and leave to simmer covered, over a low heat for 1.5 – 2 hours or until meat is tender. Garnish with coriander and serve with boiled basmati rice and poppadums.